A great family home with X Hall living / dining rooms, Oak hardwood floors and leaded glass windows. Family room off kitchen opens to a completely private south facing back yard. Top floor addition has vaulted ceilings, 3 bedrooms, and extra-large bathroom and Mountain Views. Considerable renovations, hot water heating and a high unfinished basement awaits your ideas. 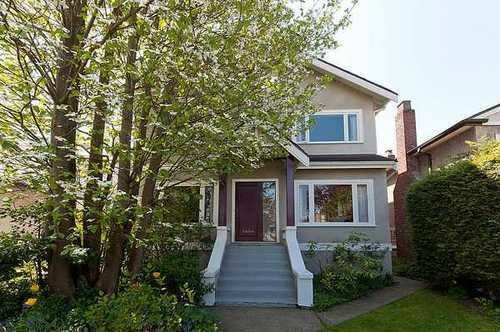 Great quiet street close to Queen Elizabeth Elementary & Lord Byng High Schools as well as UBC, Pacific Spirit Park & 10th Avenue shops. Open Sun May 20, 1-3. Open Tues May 22, 10-12.